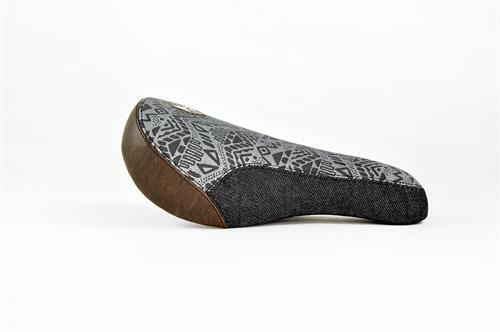 Autum's first light and small Tripod seat comes in with mix of 3 different fabrics! A grey denim print with an African pattern on the top, black denim on the sides and a luxury leather imitation on the back side of the seat. Combined with an AUTUM logo patch in leather fabric on the top. This seat shows some serious style!